A Like-Hearted Gathering in Dubai - Gould. Strategic BrandingGould. Strategic Branding. There’s a whole world of talented Muslim entrepreneurs who are creating beautiful, beneficial, and groundbreaking things. And their time to connect is now. Over 4 jam-packed days in Dubai, the best minds in the business of the Islamic Economy & Entrepreneurship came together to share, learn, and grow. 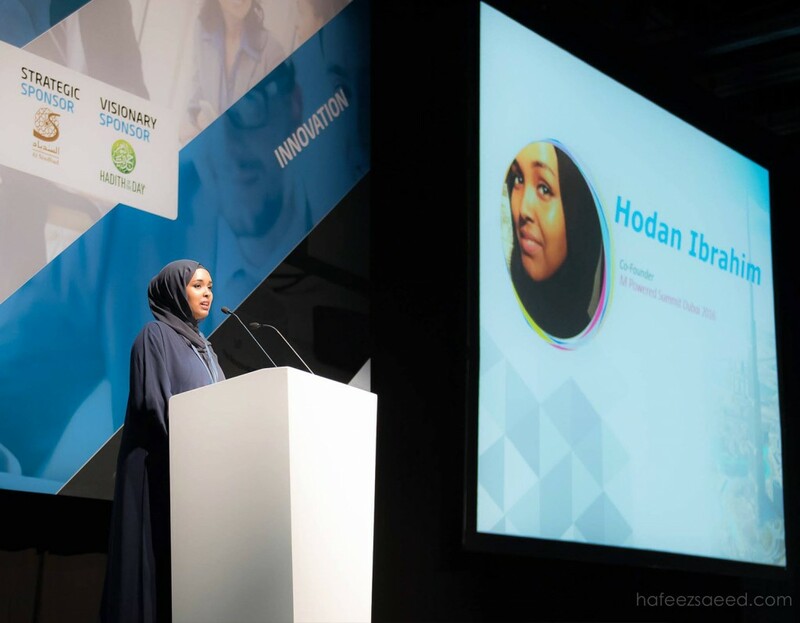 The first event was the inaugural M Powered Summit (MPS), founded by Hodan Ibrahim and co-founder Abdelmohaimen Mansi, to create a space exclusively for entrepreneurs and innovators who are shaping the Global Islamic Economy. With an impressive line up of speakers including Comm Mirza (CEO Mirza Holdings), Mohamed Faris (Productive Muslim), Irfan Khairi (leading e-marketing guru), Alia Khan (Founder & CEO, IFDC), Shahed Amanullah (Expert on all things entrepreneurial & startup, Affinis Labs), Omar Al Busaidy (Author & Emirati Entrepreneur), Rafi-Uddin Shikoh (DinarStandard), Dustin Craun (Ummahwide, Salam Bank), Chris Blauvelt (LaunchGood), Shahbaz Mirza (Ramadan Legacy), our very own Peter Gould, and many more! Each spoke from their real-world experiences and expertise. Peter kicked off the event with a presentation on Islamic Branding & Design. After numerous business ventures that failed, he learnt that the most important thing any entrepreneur can have is the right mindset. This sentiment was echoed by many other speakers – having a mindset built on the determination to start again, and again, with a positive response to perceived (and very real) failures. Rafi-Uddin’s message was that by gearing our vision to be globally-minded, we might strive to think critically at all levels, nurture an economy characterised with co-opetition, driven by Islamic values, and solve global problems with genuine customer centricity. One important missing link in the startup space, particularly for Muslim entrepreneurs, is the question of funding. Shahed Amanullah from Affinis Labs made a huge announcement that addresses this very problem – a fund of US$250 million. Shahed Amanullah from Affinis Labs making the big announcement! 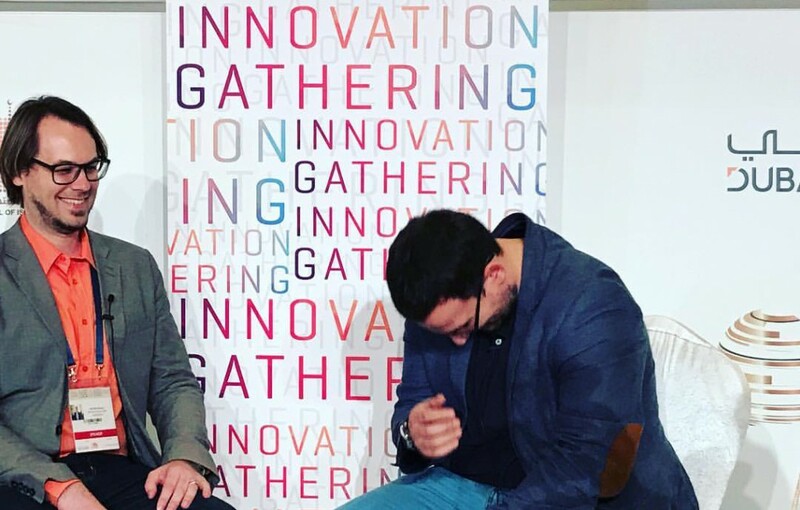 A partnership by Affinis Labs, Elixir Capital, and MavCap has made this game-changing fund possible, which includes the creation of an end-to-end ecosystem of support for selected startups by Muslims including a 3 month residency in Silicon Valley. So if you’re an entrepreneur with a seed-stage startup, keep a close eye on this! Over the next 2 days, the Global Islamic Economy Summit (GIES) was held at the beautiful Madinat Jumeirah. 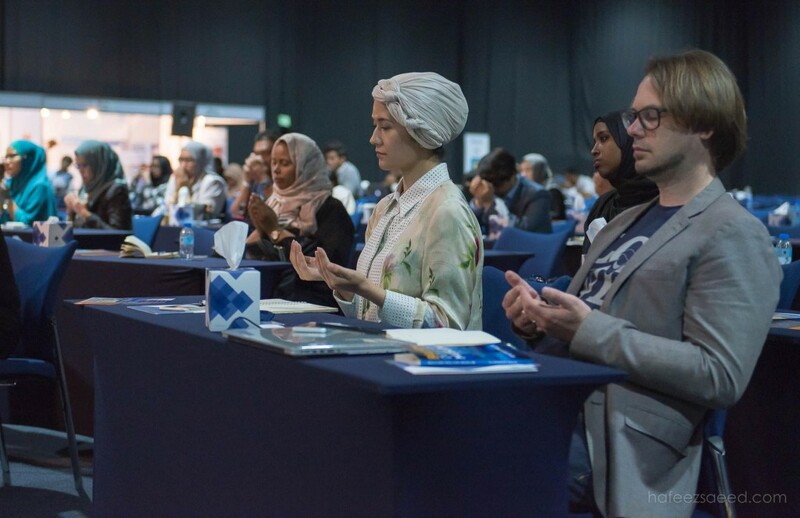 GIES is a confluence of awesome people from all sectors, including Islamic finance, tech, fashion, arts & design, education, tourism, halal industry, and more. GIES felt like the next stage up from MPS, with a focus on roadmapping current and future successes & challenges of the Islamic Economy at a broader scale. 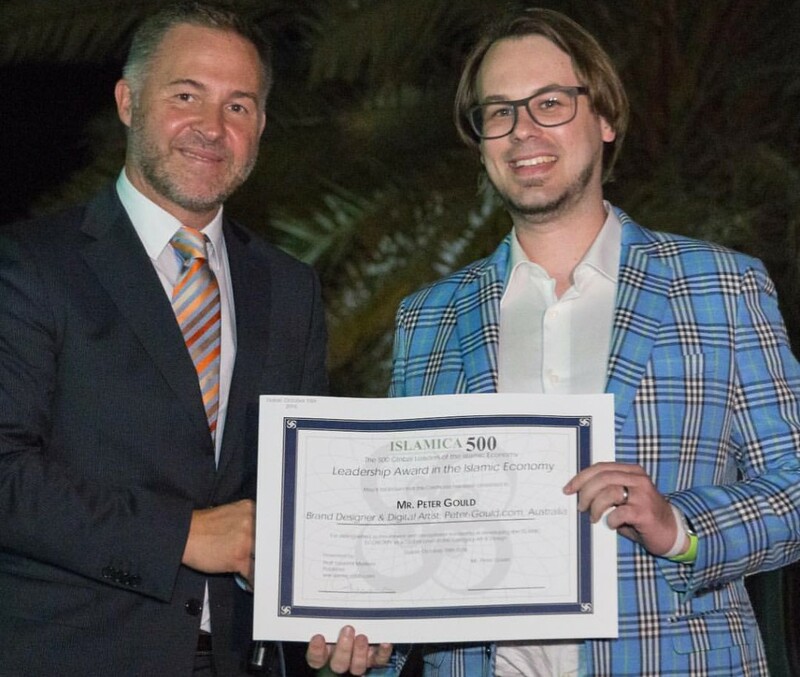 The evening before GIES, Islamica 500 held an awards ceremony for those who were recognised as the top 50 Leaders of the Global Islamic Economy. Peter received the leadership award and we’re super proud of him! The GIES this year had a range of really interesting and inspiring talks and activities. 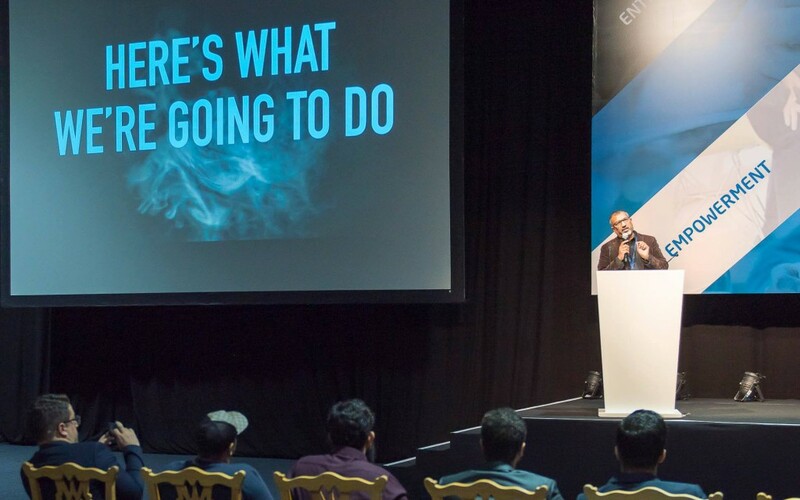 There was a keynote address by Ameenah Gurib-Fakim, President of Mauritius, a conversation with Moez Masoud, scholar, intellectual, and TV presenter, and an inspiring talk by Omar Samra, who has scaled the 7 summits, trekked to both North and South poles, and won the XCOR competition to go to Space! There were also fantastic panels that allowed for in-depth exploration of trends and challenges in a variety of topic areas. Peter moderated the panel “Reviving Islamic Art & Design” that featured Haji Noor Deen, Chinese-Muslim calligrapher; Eric Broug, author & educator in Islamic geometry; Carol Bier, scholar in Islamic geometry; and Ahmed Al Ali, architect and entrepreneur. In a panel about Muslim Millennials, it was great to see at least one millennial represented with Amani Al-Khatahtbeh, founder of Muslim Girl. She conveyed that the millennial Muslim generation has been the one to face perhaps the largest economic and political challenges. She spoke about the trend of Muslim women in headscarves being picked up by large mainstream brands such as H&M, L’oreal, and Dolce&Gabbana to tap into the growing market of Muslim youth by mere visibility. Sharing the message that perhaps in moving forward, young Muslims from Generation Z will push beyond visibility to “self-owned representation”. 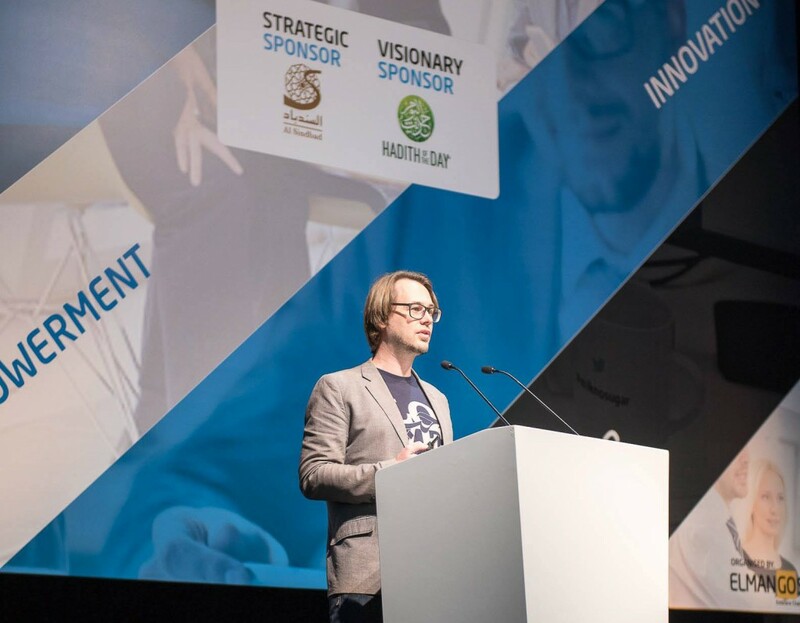 Another great opportunity for fresh ideas to shine was the Innovation 4 Impact competition which saw 5 unique startups take their pitch to the stage. The presenters were grilled on all things from market readiness to viability of their idea. 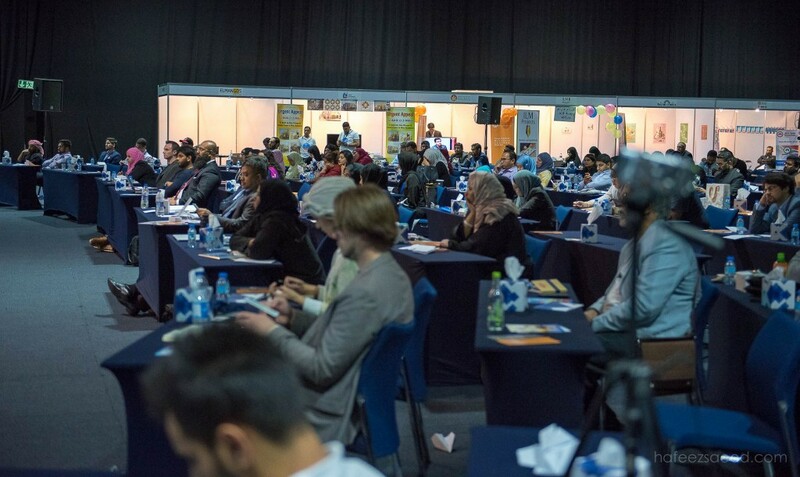 The audience were involved in the process of selecting a winner by a vote, and the winning idea was announced on day 2 – which was Divine Connect, a device that live-translates the jumuah khutbahs at Mecca from Arabic. 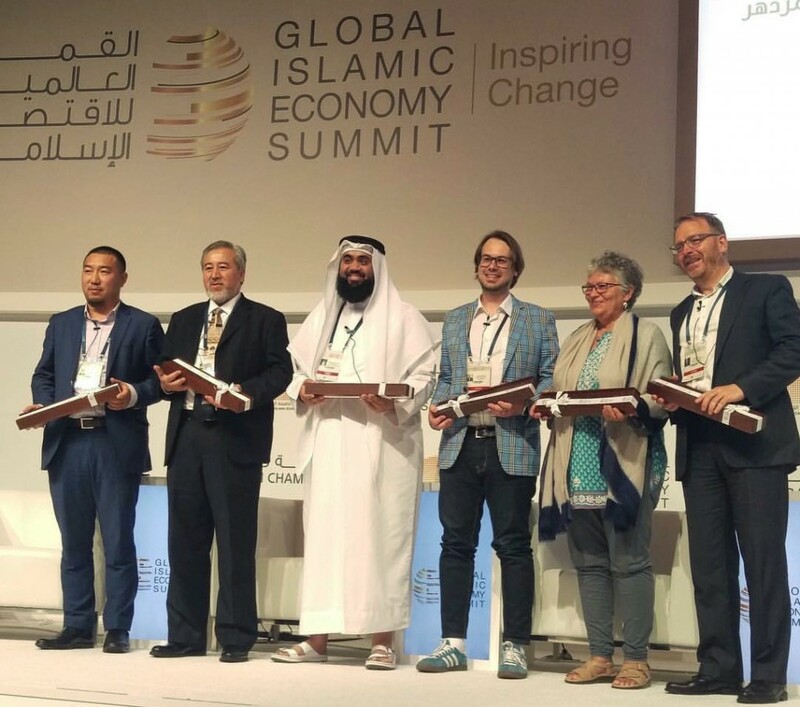 It was great to see our good friends Haji Noor Deen and Mohamed Faris, founder of Productive Muslim, recognised with the GIES awards in Islamic Arts and Media categories (respectively) this year! The trophies were designed by Peter Pham, our Design Thinker. 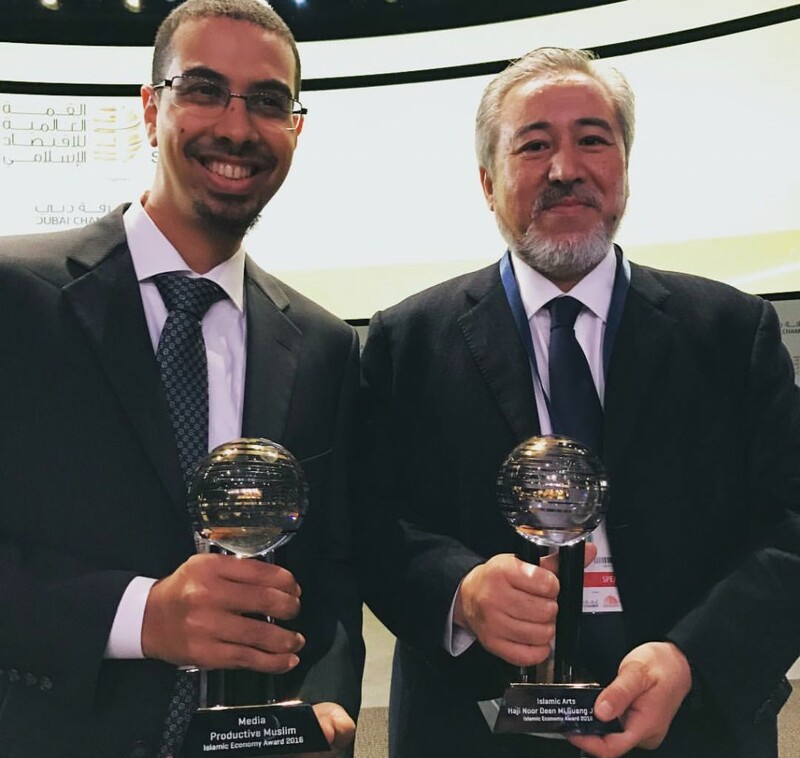 Mohamed Faris and Haji Noor Deen with their trophies – that we designed! Perhaps the most unique moment of the 4 days occurred during a group session away from the main agenda of GIES. 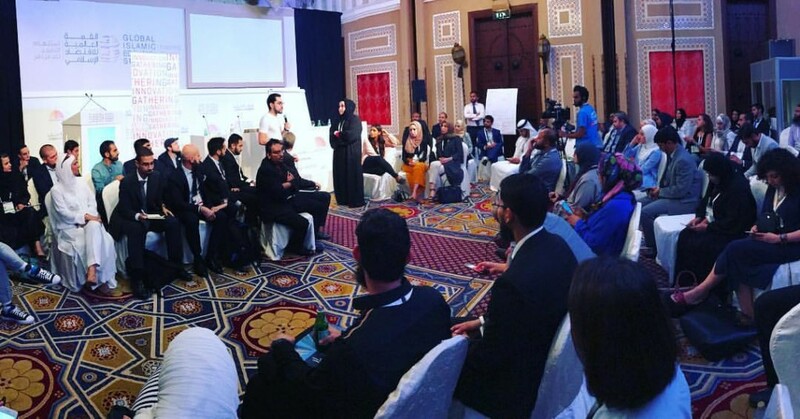 The Innovation Gathering grew out of an initiative started by Peter from one of his earlier trips to Dubai, where he organised a gathering called Startups & The Spiritual Path. After a WhatsApp group that grew to 150+ members, it was time to take it to the next level. This group of like-hearted Muslim entrepreneurs, leaders, thinkers, and creatives gathered with the purpose of identifying how to create a supportive and productive community. The outcome was a structured group to share ideas, events, tips and have open discussion as a practical way to build a support & growth network across the Islamic Economy. After an inspiring 4 days, we’ve come back with renewed inspiration and a vision to focus on solving global problems, driven by Islamic values, in order to bring about positive benefit to all of humanity.